The sun, Earth and Mars will perfectly line up in a phenomenon called the Mars opposition. 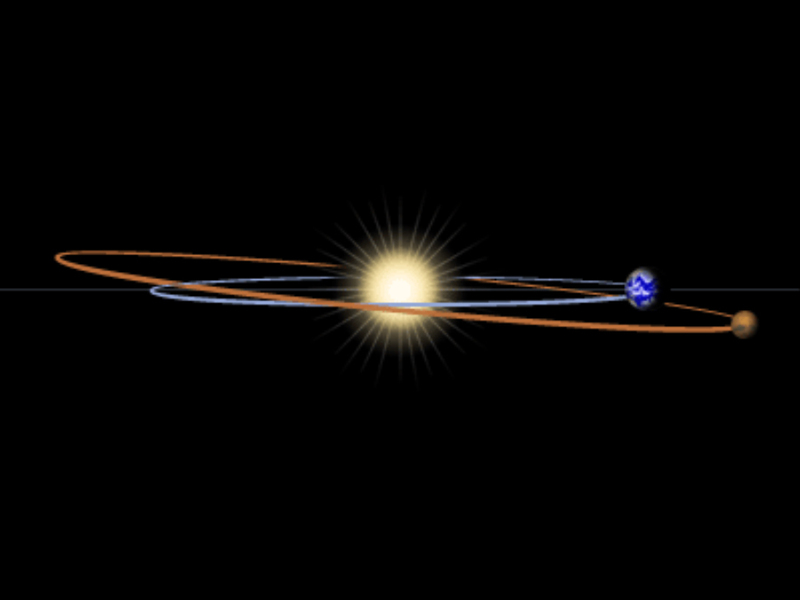 According to NASA, these events happen once every 26 months, but every 15 or 17 years, the event happens when Mars is closest to the sun, its perihelion. It just so happens this is one of those years with Mars' perihelion occurring on May 30. Because Mars will nearly be at its closest point to Earth, it will be slightly bigger in the sky than normal — but NOT as big as the full moon like some Facebook hoaxes are reporting. And since the Earth will be stuck in between the sun and Mars, the Red Planet will also appear brighter in the sky. 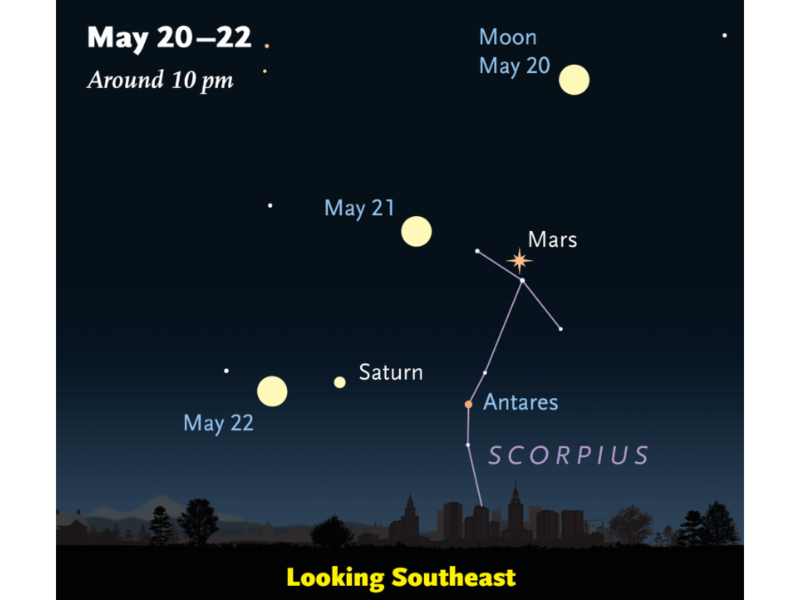 If you live north of the equator and want to get a glimpse of Mars, look due South around 1 a.m. local time Sunday morning. Mars will be the brightest object in the sky near the full moon. It's a busy weekend for astronomy lovers. In addition to ideal viewing conditions for Mars, Saturday is also when you'll be able to see a rare blue moon .